Toy company Lego used Canvas ads in Instagram Stories to increase awareness and sales of its newest playset. Lego wanted to create awareness for its newest playset, Lego Boost, linking real-world play with a dedicated app. Lego wanted to use Canvas ads in Instagram Stories to create an interactive experience that showcased the creative possibilities of its Lego Boost set. 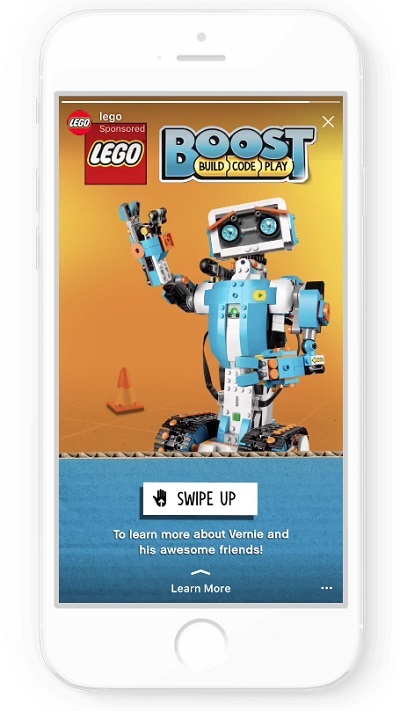 To generate awareness and engagement for its latest base playset, Lego created engaging Canvas ads in Instagram Stories. Featuring a robotic character made from Lego Boost called Vernie, the ads showed audiences that they could make and program their very own robot. Lego's Canvas ads in Stories supported its goal of supporting children's development through creation by using a mixture of full-screen images, video and calls to action to show off one of its more complicated models in an accessible and highly appealing way. 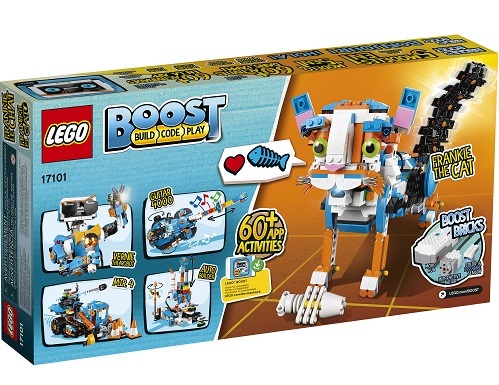 Lego 's campaign successfully generated high levels of awareness for its Lego Boost playset, along with a 58% lower cost per click and a 45% lower CPM.